The plan to deploy hundreds of cops and military personnel for the six-month “rehabilitation” of Boracay, in Malay, Aklan, starting on April 28, 2018, is not only unnecessary, but overacting – to say the least. 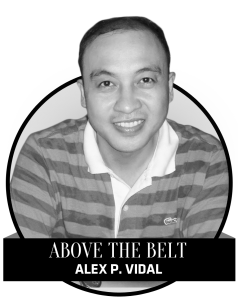 If the island is shut down to pave the way for a cleanliness and overhaul program, the government should dispatch more civilian workers to rev up manpower for the Department of Environment and Natural Resources (DENR), the Department of Tourism (DoT), and the provincial government of Aklan; not the military. Sending 610 policemen and a still undetermined number of soldiers to a premier tourist spot “to maintain peace and order in the island” during rehabilitation is like deploying scuba divers to guard the deep water’s abyssal zone while garbage is being removed from the Pasig river. Boracay is not a Marawi. No terrorists in their right minds will invade the island and kidnap those busy putting away heaps of trash and demolishing illegal structures. There is no Plaza Miranda, Mendiola Bridge, or Quirino Grandstand in Boracay. No disgruntled resort owner will hire a private army to harass those who carry brooms and other cleaning tools. The Police Regional Office (PRO)-6 reportedly fears that some affected agencies and residents might put up a resistance when rehabilitation commences. The Philippine Army also reportedly finds it necessary to deploy soldiers from the 301st Infantry Brigade to deal with members of cause oriented groups that might join the fray. If we will use logic and common sense, cause oriented groups can’t occupy speed boats or motor vessels from Caticlan port just to intrude the island and disrupt the cleanliness program. If security is tight, authorities can deal with them adequately right there in the mainland. As for would-be recalcitrant residents and business owners, local police can easily nip them in the bud if they misbehave, which is a remote possibility after they have been thoroughly given proper information and orientation on the government’s plan for the island before hand.